Medium dark amber color. Fruity, candied aromas and flavors of dried mango, grilled peach, italian leather, and caramel gelato with an dryish full body and a peppery, epic, endless finish with overtones of rose petals, milk chocolate, chipotle peppers, and mole finish. A flavor journey to write home about. 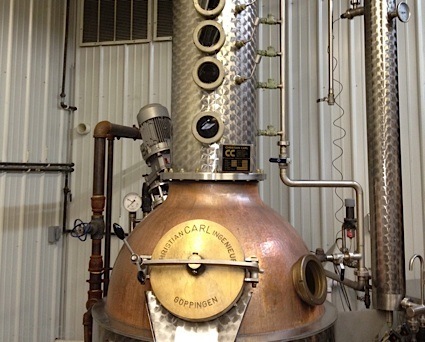 Bottom Line: A flavor journey to write home about. 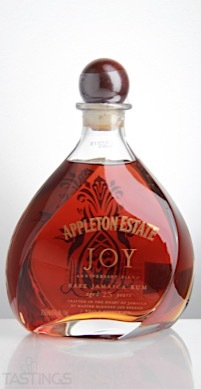 APPLETON ESTATE JOY Anniversary Blend Rum rating was calculated by tastings.com to be 94 points out of 100 on 3/20/2017. Please note that MSRP may have changed since the date of our review.